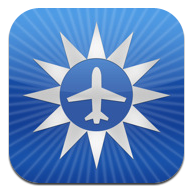 ForeFlight has released a new version of the ForeFlight Mobile HD iPad app. Now, for the first time, geo-referenced approach plates and taxi diagrams are supported. The new charts are ForeFlight’s licensed version of ChartData from Seattle Avionics. The catch? To use the geo-referenced charts you will have to pay twice as much for a pro subscription at $149.99 versus the regular subscription price of $74.99. I think that ForeFlight is still a bargain at the higher price but you will have to decide which subscription is right for you. I did get a credit from ForeFlight since I purchased the original app back in october for $75. My credit was @$56 so I owed $93 for the new upgrade and reset the clock for a year. Thanks for pointing that out Gary. Yes, you do get credit for your existing subscription when you upgrade to pro.